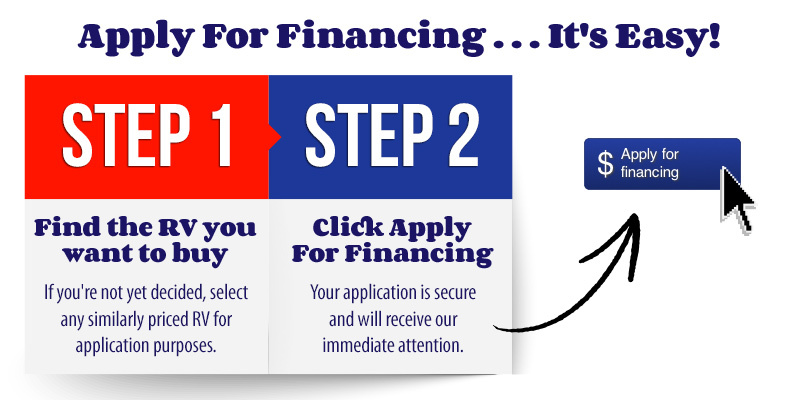 Financing is available from over 8 of the largest national recreational lenders, local banks, and credit unions. We offer our customers a very quick, easy, and confidential loan process. It only takes a minute! And you can soon be on your way to your favorite camp ground with your new RV! See our finance office for details. Our finance office can help protect your credit rating by fully securing your loan with life, sickness and injury coverage. Make your appointment today at a location closest to you. Did you know that you can protect yourself from the high cost of repairs with an Extended service agreement? Extend the length of coverage for mechanical breakdown repairs beyond the manufacturer's warranty with the Protective Extended service agreement. You can also increase the resale value on your RV since the agreement is easily transferable. The Extended service agreement program will provide exceptional service and efficient claims handling. Contact our Finance office for pricing and enrollment. Protect the appearance of your new RV with our Platinum Shield Protection Plan. We can protect the outside and inside of your New RV. See our finance office for details.